Kids are a huge part of our New Vision community! Please make yourself comfortable wherever you would like to sit. Towards the back of our worship space, we have a table with books, toys, crayons and paper, and an activity sheet that typically goes along with our lectionary reading for the day. If this fits your family’s needs, great, if not, that’s fine too. Children aren’t always quiet (ha! ), and more than just recognizing this, we welcome their input and enthusiasm! 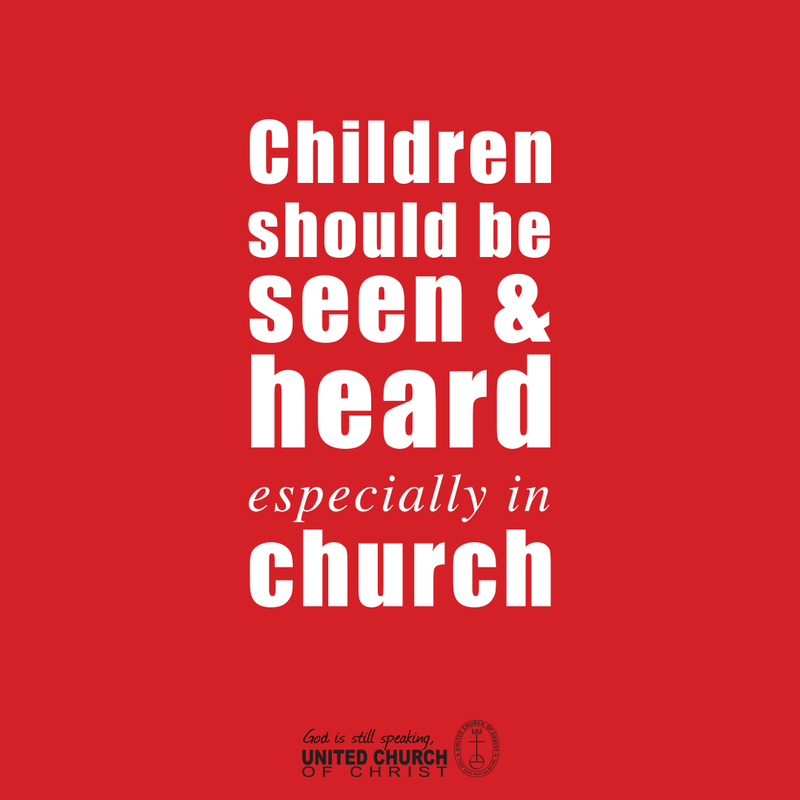 You may witness a child helping with a prayer, randomly picking up a musical instrument to join in a song, helping collect offering, or adding something to the conversation, even before they can talk! And we love these moments. Children aren’t a distraction to us, we are thankful for them in our lives and in our gatherings. 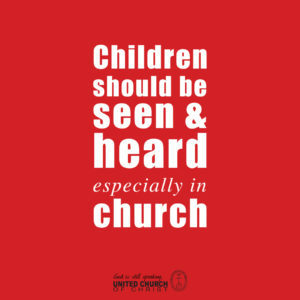 Children typically stay in the service with their parents, learning and listening through songs, Scripture readings, prayer, and getting to know one another. During the sermon, there’s an opportunity for children preschool to elementary aged to hear a lesson and activity for their age group. Sometimes this happens as part of the main service, but more often it’s during the sermon. Children preschool through elementary ages are welcome to join in the library area (part of the sanctuary) to hear the lectionary passage read at their level and do an activity that reinforces that message. We use curriculum called Sparkhouse, which partners with our lectionary readings, and parents have the option to have family pages to use, as well as access resources online to use at home. For more on these options, contact Carey H.
One of our bathrooms is equipped with a changing table, child seat on the toilet, and step stool. Should your child (or you) need a few moments away from the crowd, we have a room downstairs that has rocking chairs, toys for a variety of ages, books. And you are welcome, to meet your child’s needs. You know your child best and know what they need. Please do what you need to do to meet these needs. Need to quietly explain to a preschooler what is going on? Go right ahead. Need to take a breather outside with an overwhelmed child? (Or an overwhelmed you.) We’ve been there, you aren’t alone.